My 3rd game in 3 days would be the longest trip of all. And again I would be taking advantage of the offer to travel on the Oxford City team coach for £10, as I did ever more Conference North grounds. The coach left quite a bit later than last time, at 2.45, so it wouldn't be as much of a rush as last week. I had been wanting to see a game at Stalybridge for a while. 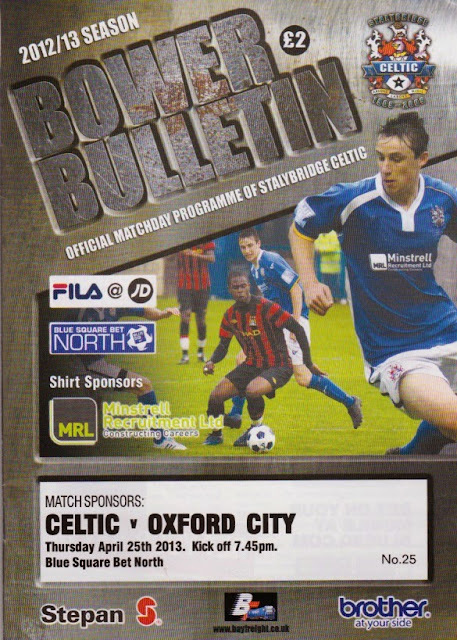 I had first visited the ground back in 2008, when up north for a Bury v Wycombe game. This would be my 4th time watching Oxford City this season. As well as tonight, I had also seen them at Halifax, Corby and Colwyn Bay. 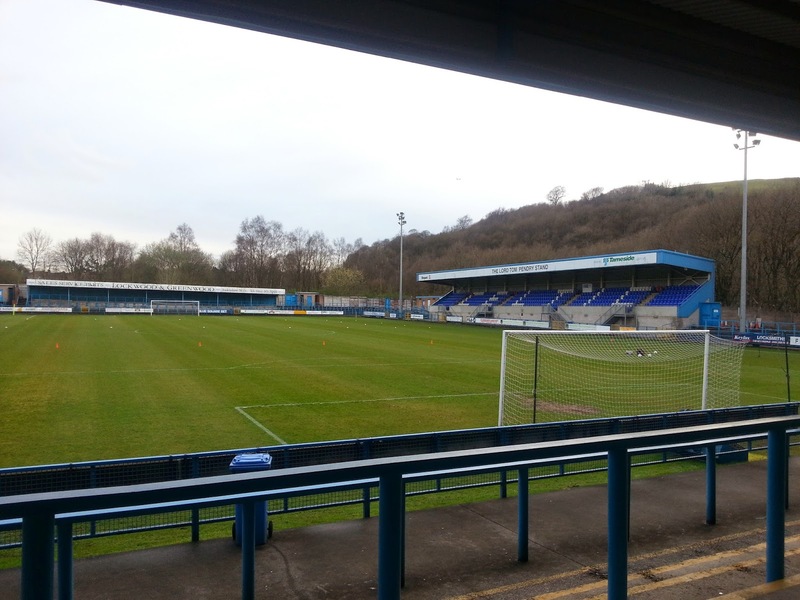 As for Stalybridge, I had last seen them when Wycombe beat them 4-0 at Adams Park back in 1992, in fact that was the only time I had seen them. 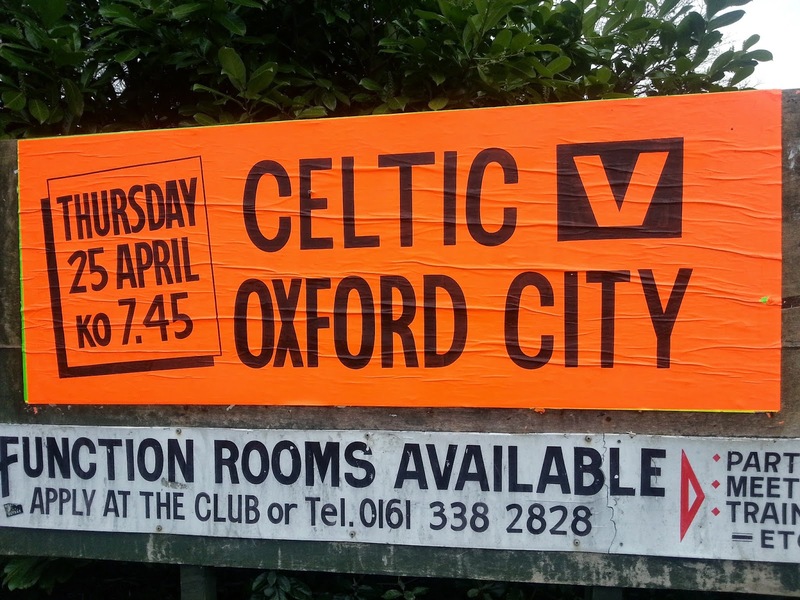 I learned on the way that Wycombe would travel to Oxford City on the 13th July for a pre season friendly, and that City also had home friendlies against Oxford United and Birmingham City. In the end, the coach left just before 3 and after a couple of pick ups, we were on our way. I had been planning to walk into town but sadly lots of traffic and a big delay put paid to that. We arrived at the ground about 7 and as I could see nothing much around the ground, I went straight in. After buying a programme and looking in the club shop, I went into the bar, hoping for a pint of cider. But they only had some fancy strawberry and lime stuff, so I didn't bother. I made do with a burger, which was pretty nice. It was soon time for kick off and although Stalybridge had the first chance of the game, it was Oxford City that had the best of the game in the opening 10 minutes. Twice Louis Joyce worked himself into great positions, only to fire tamely into the Stalybridge keepers arms. This turned out to be to their cost as the home side took control of the game. Goals from Mark Lees and Adam Pepper put them in control and it could have been a few more if luck had been on their side. 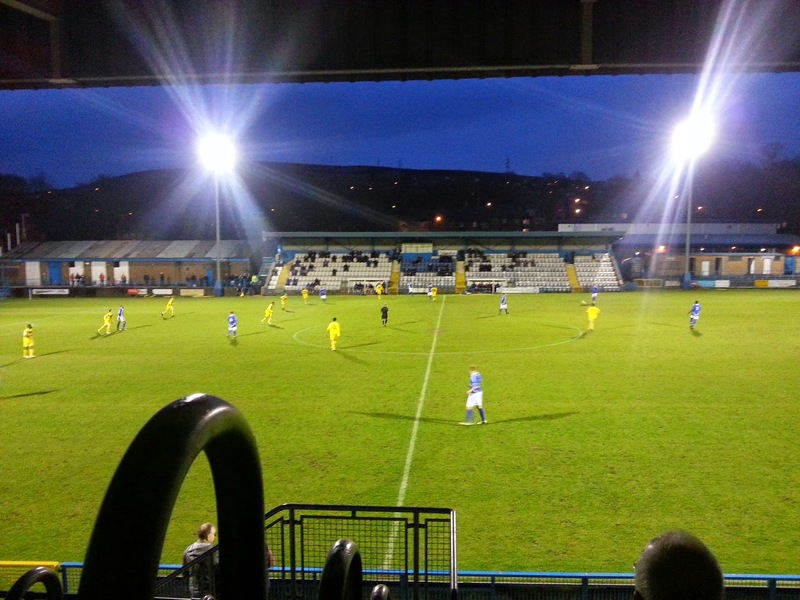 City had the occasional chance, but Stalybridge were well in control. Going into the final 5 minutes, Felipe Barcelos gave the visitors a lifeline when he scored. I had a feeling that City may push on from this and so it proved to be true when Mark Bell finished neatly past Stalybridge keeper Jordan Barrow. After the game I waited the usual hour for the team to get changed and back on the coach. I had ran down to a shop that I had found on google maps, but sadly it was closed. I didn't want to go any further and risk missing the coach, so I made my way back to the ground. I wanted to get some sleep on the way home, but I didn't feel tired. They put Mike Bassett: England Manager on the TV, so I watched that. I must have fallen asleep, as I missed half of the film and probably got about an hours sleep in all. I got back to Oxford at 2.25 and was home by 3am, in time for a quick hours nap before work the next day. I had really enjoyed my away trips with Oxford City this season, and am hoping they will be in the Conference North next year, so I can complete the league. The team are all friendly, even though I don't recognise them. A far cry from some of the teams of the past, which had a number of ex Wanderers. And the directors, all probably retired are friendly too. They go to every game, including the Nomads (reserves) team and youth side. It's nice to see real supporters in charge, rather than people who just get on the board for the kudos. 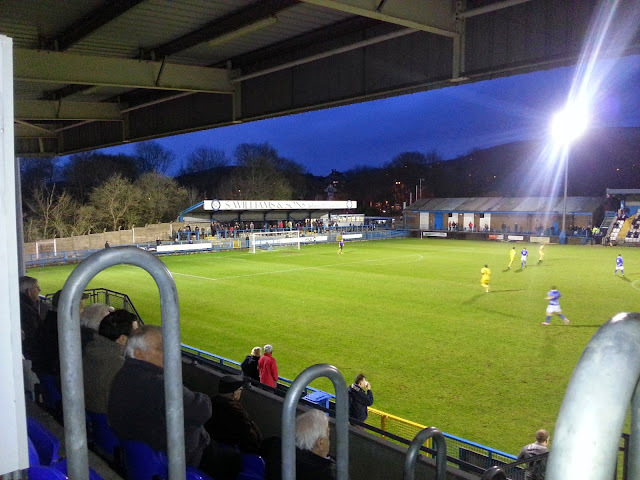 BOWER FOLD is probably one of the best grounds in the Conference North and is better than some in the football league. All 4 sides have cover, with a terrace at each end. Along the side are 2 seated stands, both high enough to offer a great view of the pitch from the top row. The club shop offers a small range of club merchandise and the tea bar is pretty average for this level, the burger I had being decent. The clubhouse was a disappointment, not even doing a basic cider. I'd recommend walking half a mile down the road, where there is a pub and a better range of take aways.